Angela has lived in Jacksonville her whole life, raised three children and has been in real estate for over 20 years. Her specialty is matching the right house to the buyer and won't stop until its done.....She is a real Matchmaker, but with the excellent negotiating skills to help you buy or sell with the best possible outcome. Howard has lived in Jacksonville for over ten years and was involved in some community redevelopment prior to becoming a realtor about 10 years ago. He has extensive knowledge and experience in short sales and has negotiated well over 100 transactions with lenders. Howard has two wonderful children. One lives in Jacksonville and the other attends Florida State University. 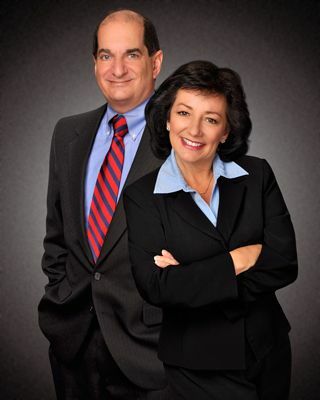 We are your hosts of Real Estate Radio! We started doing our radio show in January of 2012 to talk about what's going on in real estate in Northeast Florida. After all, the more houses that sell and the sooner that they sell, makes it better for our whole community. It is a question and answer talk show about buying and selling your home. We also give news and advice and listeners call in with real estate questions that effect them. The show is live and is heard on AM600 WBOB every Saturday morning from 9:00 to 10:00 a.m. We invite you to listen to our live show or download a Pod Cast. Go to www.wbobradio.com. On the right side, press the button for Podcasts and then choose Real Estate Radio and pick a date for one of our shows. We both love living in Northeast Florida and the radio show is our way of giving back to the community. So when you decide that you'd like to buy or sell a home in the Jacksonville, St Johns, St Augustine, Ponte Vedra Beach, Jax Beach, Atlantic Beach, Neptune Beach, Orange Park, Julington Creek Plantation, or Fleming Island areas, please contact us. You get two experienced Realtors for the price of one! That said, in our experiences as real estate professionals, we've also found that providing the very best service is essentially about putting our clients first. This means keeping ourselves accessible (that is why there are two of us....so that one of us is always available to you), being good listeners as well as a good communicators, and responding quickly to your needs.